A Commodore Pet 4032 demo. Features a brand-new graphics mode enabling "hi-res" graphics for the first time. A small intro for the VIC 20. Cooperation PC demo with Andromeda, released at NVScene 2008 in California and that ranked #1 at the demo competition. Requires a GeForce 8800 or equivalent. Attempt at making one of the smallest musicdisks ever. 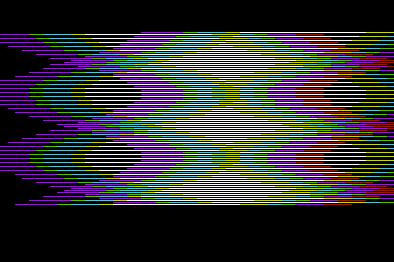 Mus1k runs on Commodore 64 and features 4 tunes with basic visuals. OMD is an old fashioned megademo running on VIC 20 without memory expansion. It features 10 parts with effects pushing VIC 20's hardware to its limits. Released at Sundown in September 2007 and ranked #2 at the oldskool demo competition. This 64k intro was the first Orb production and was released in may 2007 as an Invitation for the Outline event held in Holland.